The Palestinian Authority blasts Hamas officials for executing more than 20 alleged collaborators with Israel, saying this is illegal. The Palestinian Authority (PA) on Saturday blasted Hamas officials for executing more than 20 alleged collaborators with Israel on Thursday and Friday, the Ma’an news agency reported. According to the report, the Secretary-General of PA Chairman Mahmoud Abbas's office, al-Tayyib Abd al-Rahim, said that the executions had been conducted illegally outside of the Palestinian court system and could thus not be considered to have gone through fair process. "The executions were done in cold blood and according to Hamas law, which is: who is not with Hamas is against it," he added. Abd al-Rahim called the killings "random executions of those who Hamas called collaborators," adding that some of those killed had been detained for more than three years before their recent executions. He also accused Hamas of having punished political dissidents within Gaza previously during the recent conflict with Israel, claiming that the group "shot at the feet" of "many of those" who called upon the movement to accept a ceasefire and had placed "many" others under house arrest. "It is enough for our great people in the Gaza Strip that they suffer from the Israeli siege and offensive," Abd al-Rahim added, according to Ma’an. He also said that the executions are "rejected and condemned" by the Palestinian people, adding that they were reminiscent of the summary executions carried out by Wahhabi groups in other parts of the Middle East. Under Palestinian law, collaboration with Israel is punishable by death. All death sentences, however, require Abbas's approval before being carried out, and Abbas issued a moratorium on death sentences in 2005. Until the formation of a unity government in April, Hamas carried out executions under its own authority because it did not recognize Abbas’s authority, arguing that his term expired in 2009. Abd al-Rahim called Hamas' actions "provocative" in light of the national reconciliation agreement, saying that they show that Hamas acts as an "authority" unto itself and "is not sincere in reconciliation and its commitments towards the unity government" of the Palestinian Authority. 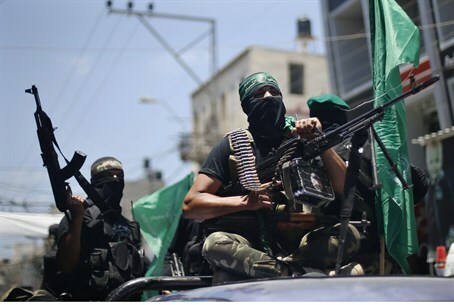 Last year, Hamas offered a one-month amnesty for informers to give themselves up in return for leniency.